‘Tis the season for cozy sweaters, tall boots, and of course, pumpkin spice lattes! 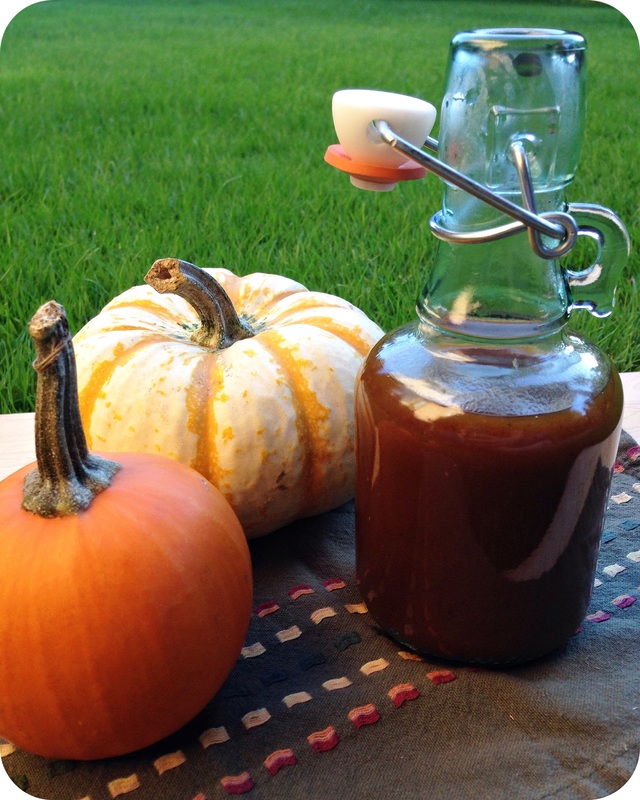 This year, why not skip the Starbucks line, save a few (or a lot of) dollars, and make a healthier choice by whipping up your own batch of natural pumpkin spice syrup? I like to mix about a tablespoon to a tablespoon and a half of this syrup with one espresso shot in a standard sized mug, and top that off with steamed milk. Delicious! I make this syrup regularly for work, therefore I need it in fairly large quantities. As a result, the recipe yields approximately 3 cups of syrup! I did not scale down the ingredient amounts for this post, as it would have made for some annoying measurements. With that said, feel free to do the math yourself, or just share the love and give some #psl syrup away to your friends! Combine water and sugar in a medium saucepan over high heat. Stir constantly, until the sugar is dissolved. 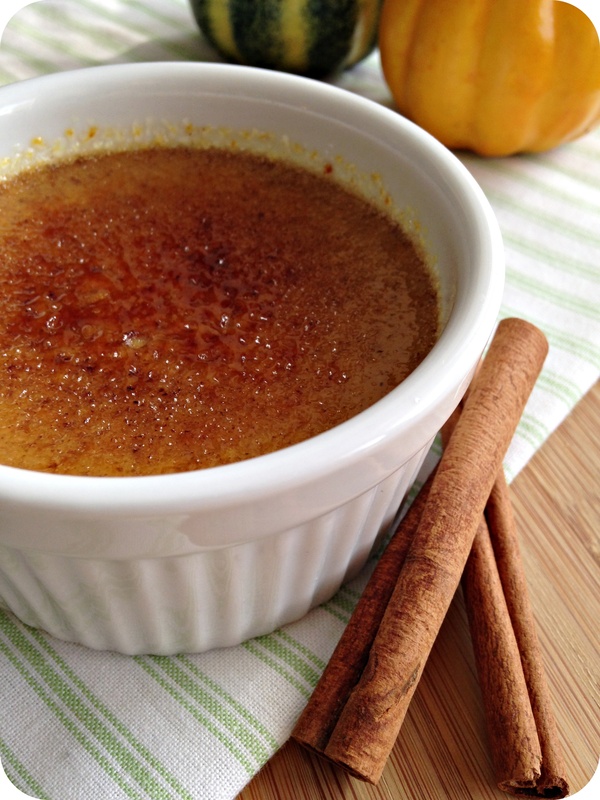 Reduce heat to low, add pumpkin and spices, and whisk until combined. Simmer for 10-15 minutes, or until mixture is thickened and coats the spatula. Allow mixture to cool completely, pour into a resealable container, and store in the refrigerator. 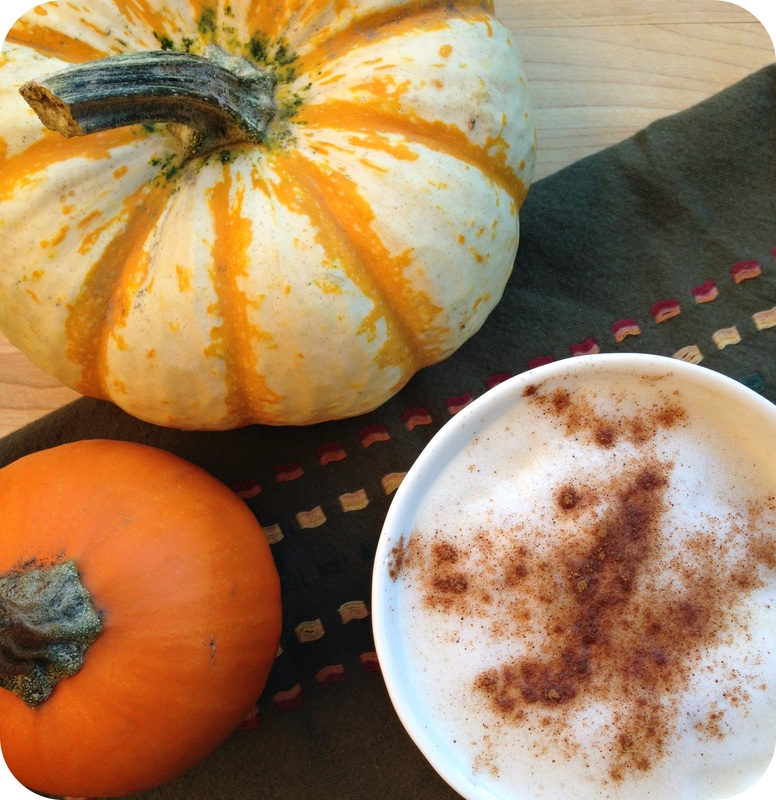 *to make my own pumpkin pie spice, I combine 4 tsp cinnamon, 1 tsp nutmeg, 1/2 tsp ginger, 1/2 tsp cloves and 1/2 tsp allspice. Halloween is just around the corner and whether you’re young or gracefully aged, one thing is certain: your chances of avoiding the temptations of chocolate and candy at this time of year are slim to none. Well boys and ghouls, you might as well just face the facts and let your healthy eating habits rest in peace for the day! In honor of the occasion, I’m sure you’re just dying to try some of my “R.I.P. 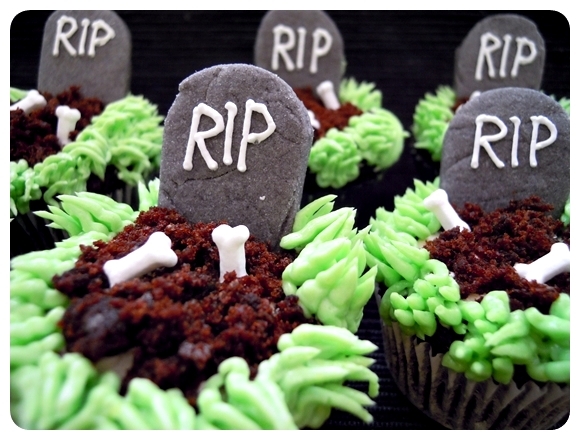 Diet” graveyard cupcakes. Warning: the post you are about to read is infested with puns. Last week I found the most spooktacular bone sprinkles at Michael’s. As an added bone-us, they were on clearance! I had no idea at the time what to do with them, but loving a good deal as much as I do, I bought them anyways. 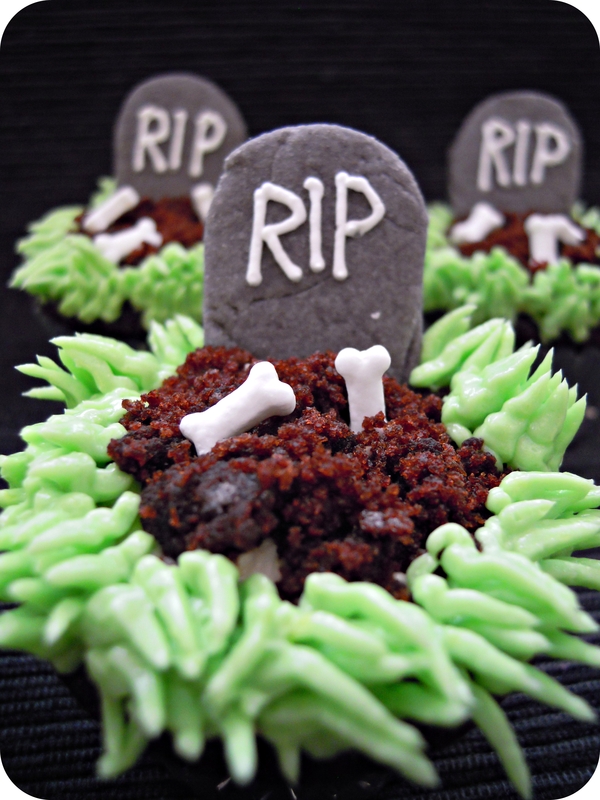 The haunting decision: miniature graveyard cupcakes! My original thought was to make fondant tombstones, but since nobody actually likes the taste of fondant and I was making these for my volleyball team, I put forth some extra effort and made sugar cookies. I added a bit of black food colouring to the dough witch made it look extra spooky, and cut out the stones freehand with a knife. Tip: make the end of the cookie pointed like a dagger so that you can easily stab it into the cupcake. Have a wicked Halloween day and evilning! Bone appetit!